I'm presenting to you an episode which I'm working for now. - Main & Special World Themes can be seen in the upper part of the HUD. The Demo is available now, inclunding the 3 first levels from World 1. Only for SMBX 1.4.4. *Note: I'm a very busy person, so this project will be slow, and I'll do my best to improve it, and I won't give up on it. Last edited by Bomb KickerDX on 1 Apr 2019, 19:22, edited 14 times in total. 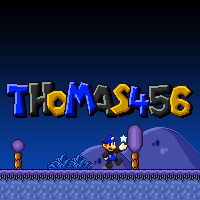 Hey this project looks very interesting judging by the custom HUD that I see its inspired by the NSMB series and the colorful banner , good luck with your project! Also do you have discord? 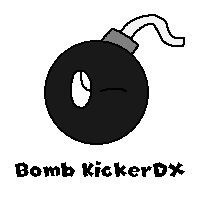 Bomb KickerDX wrote: Discord? What is it? 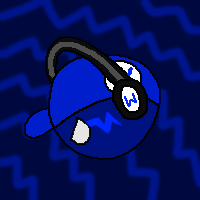 It's a online chat program where people can send messages to each others , send images and other files and there are also groups and discord servers that are about stuff where people could gather and talk about their favorite stuff , there is a discord server for smbx 38A where we gather to speak about smbx 38a and if someone needs help for example , i have a discord server about my smbx project where people gather to see the development of it before i post any updates in the forums or suggest me to fix stuff before i post them. I don't liked. I LOVED! This project is really cool! The HUD, amazing! Good luck buddy! Why I'm not uploading updates? But the ones that are supporting my project, don't be sad, one day I'll publish a new demo, so maybe early September, I'm uploading it. Hey guys, I recorded a video today and posted in Youtube. Check it out! 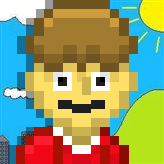 Next demo is coming when I finish World 1 and a couple more things. Hello everyone, this post will show you my new Mario and Luigi sprites that I will use for my episode, They're SMB1 Style with a little mix of SMB3 and SMW. Click this link below to see! There's still things to do, and it isn't easy with my short free time that my daily routine give me. But that doesn't mean I stopped making this episode. Guys, these days unfortunately I will be pausing the episode until the last week of december due to high school stuff.